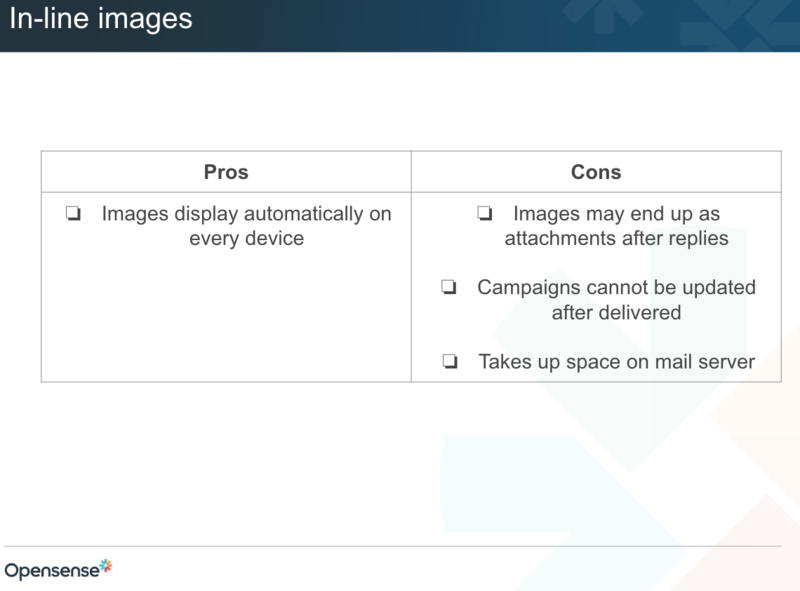 Opensense now allows you to decide whether the images that appear in your email signature should be hosted images (served via URL), or in-line (embedded within the body of the email). 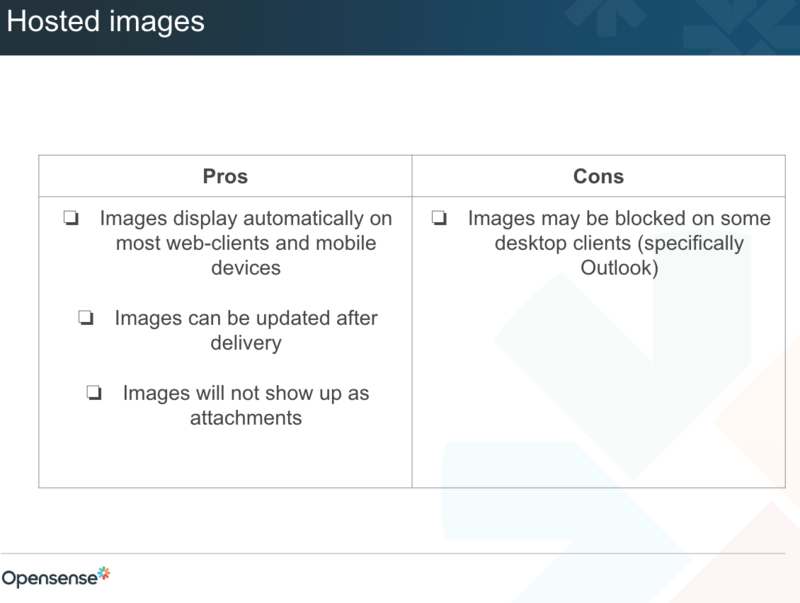 By default, some email clients will automatically block hosted images from being downloaded. The ability to enable in-line images prevents this issue from occurring. How does this affect campaign analytics? Opensense applies a proprietary approach to enabling campaign analytics to be unaffected regardless of which method you utilize. This means that you can get the benefit of in-line images AND banner view analytics. That sounds great! So why the article? Well, there are some aspects of in-line images that aren't great. For instance, since the images are embedded in the email, they may take up space on your recipient's email server. More of an issue is the fact that email clients often don't fully understand how to treat in-line images. After a few email exchanges, you may notice that in-line images end up as attachments. There isn't a whole lot that can be done about this. It's a known issue of this method of embedding images, and would persist with or without Opensense. Here's a handy guide for understanding the Pros and Cons of each approach.